I have another fabulous candle to shout about. 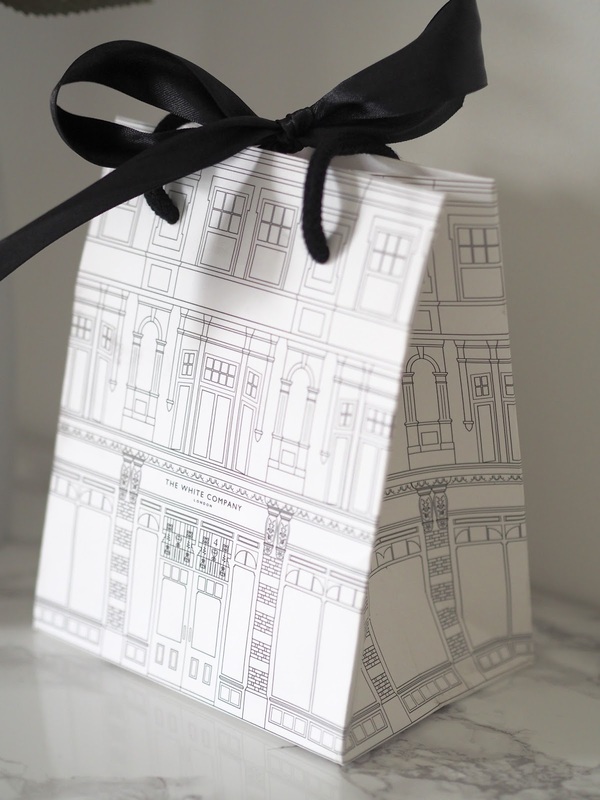 A limited edition from The White Company. Wild Rhubarb. I'm not sure how long it'll stick around for so I thought I'd better tell you about it quick. 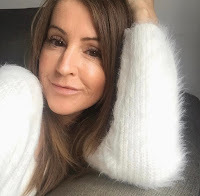 I love my candles, you know that, and after my recent experience with the Aldi candle dupe I thought it best to stick to what I know whilst on a recent day trip to Stratford Upon Avon. I'm a lover of the Verveine candle from The White Company but wanted something different this time round. I picked up Autumn, also a limited edition, and their Winter candle. Autumn I wasn't smitten with, could take it or leave it, but the Winter one I love! 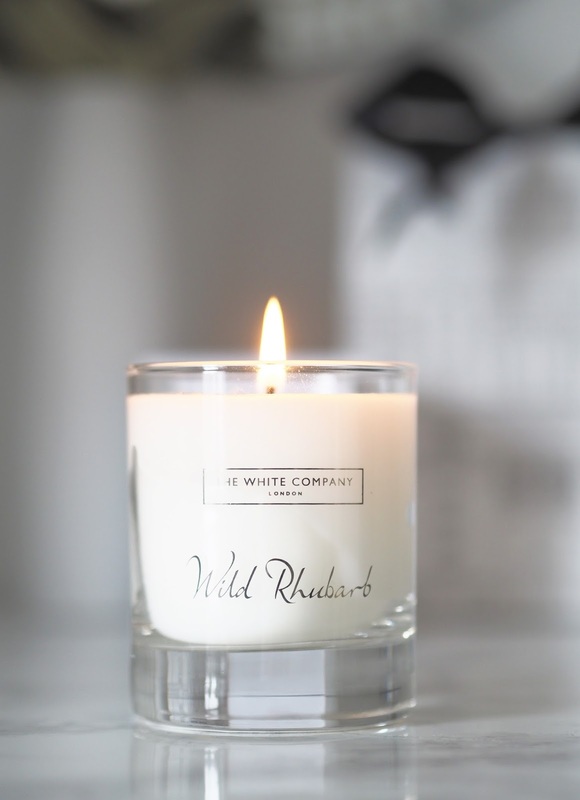 If Wild Rhubarb hadn't jumped out at me I'd have taken Winter home; but I can get myself one of those a few weeks down the line when it's truly time for getting all snuggly by the fire with fluffy socks and candles galore! Anyone else excited by that? I have a confession: I think I have a bit of a thing for rhubarb at the moment, rhubarb candle, rhubarb gin (oh yessss) and I've just bought myself a wild rhubarb anti bac spray. It's this one here and it makes the kitchen smell amazing! Wild Rhubarb smells utterly, deliciously, devine. Sweet notes of freesia, plum blossom, and red apples are balanced out by the tart rhubarb. The perfect combination. It's vibrant and uplifting, exactly what I want in a candle, yet it's surprisingly comforting too. It's similar to my Jo Malone green tomato leaf candle, which is very strong with a scent that fills the room. In fact the fragrance from the green tomato leaf hits you when you walk down the stairs the following morning. A scent I will never tire of and is a repeat buy for sure. The wild rhubarb is not as strong but lovely. I smelt so many candles, there are so many in there it's difficult to choose, but I knew rhubarb was the one because I kept going back to it! You can order online and you'll find the details here but I prefer to go in store so you can sniff out your favourite, err...and save on postage obviously. 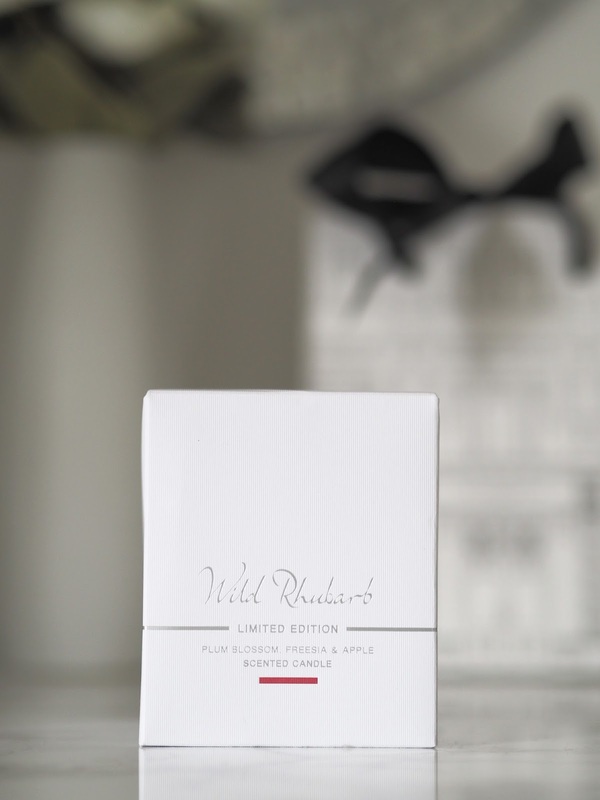 If you have a store near you, go in and get yourself some Wild Rhubarb! At £20 and with a average burn time of 28 hours they're great value for money. What's your favourite candle brand & fragrance?